Minor Food Group has long been one of the major food industry players within the Asia Pacific region. With over 2,000 outlets and more then 32,000 employees, they lead the way in delivering great food along with great service. Their constant growth and commitment is a testament to the driving force of the entire team that comprises Minor Food Group. The challenge facing Brand New Day Asia was to ensure the core elements of the Minor Food Identity were retained, as they are linked to the parent company, Minor International. In doing so, we had to explore ways of bringing a refreshed, yet unique look to Minor Food's branding and corporate communications across an expanding footprint with a wide variety of co-brands. One key issue was that the current brand guidelines weren’t clear or up to date. This meant that some of Minor Food's communication requirements were not covered, resulting in inconsistency and designs that were difficult to implement. Working closely with Minor Food's marketing team, Brand New Day Asia developed a comprehensive suite of brand elements. These included a new Brand Identity system to complement the logo, allowing for various co-branding requirements and different application formats. We also created a new brand colour system to compliment the blue colour of the core Minor brand identity. These colours were selected with digital use in mind, and also had to represent the different areas of Minor Food's business and brand values. 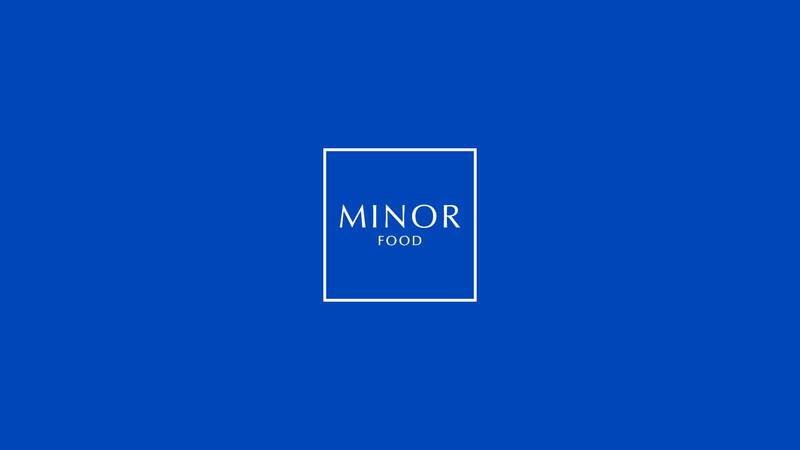 These were delivered as a set of digital guidelines, easily adaptable to evolve with Minor Food's business requirements.